Remember when you failed that exam because you wrote Emilio Earhart tried to fly around the world in a plant? 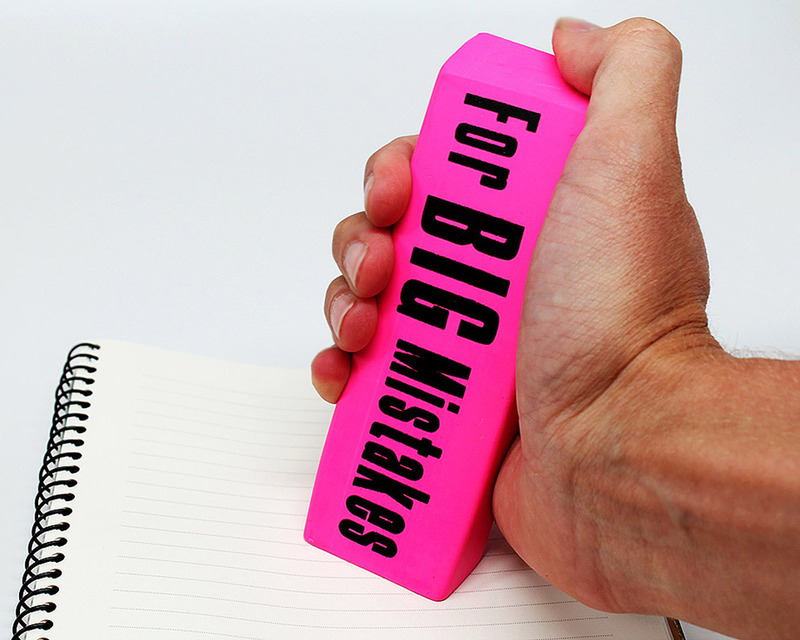 Yeah, mistakes can happen and, when they’re huge, you need a colossal eraser. 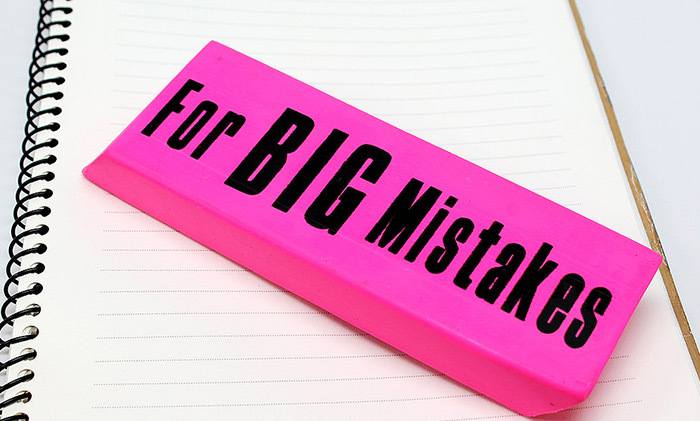 The For Big Mistakes Eraser is a giant rubber eraser that can fix up any flub, no matter the size. Well, on paper anyway. It's true that the For Big Mistakes Eraser can’t erase that drink-fueled skinny dip in the fountain at the mall, or the time you tried to hustle a guy named Minnesota Fats in a game of pool. But, if you need to erase a whole page of text because you thought the Italians won World War II, you'll be totally covered. The For Big Mistakes Eraser measures 15cm by 5cm by 1.9cm. We’ve all done things we wish we hadn’t. Ran over our neighbor’s cat or ran naked down the street in winter – who hasn’t been there? 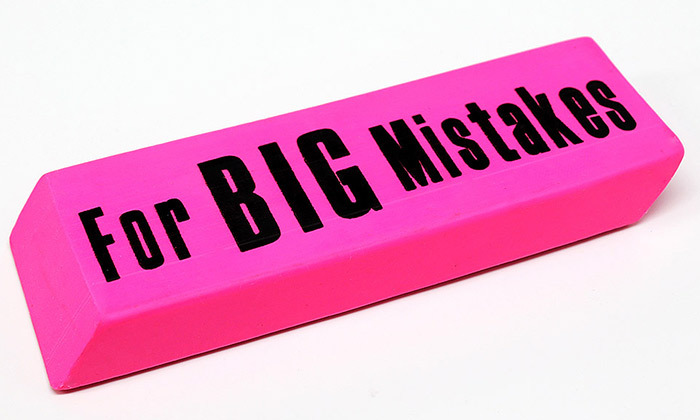 We love the For Big Mistakes Eraser because when times get tough we can just take it out and start all over again. Doesn’t that sound great?